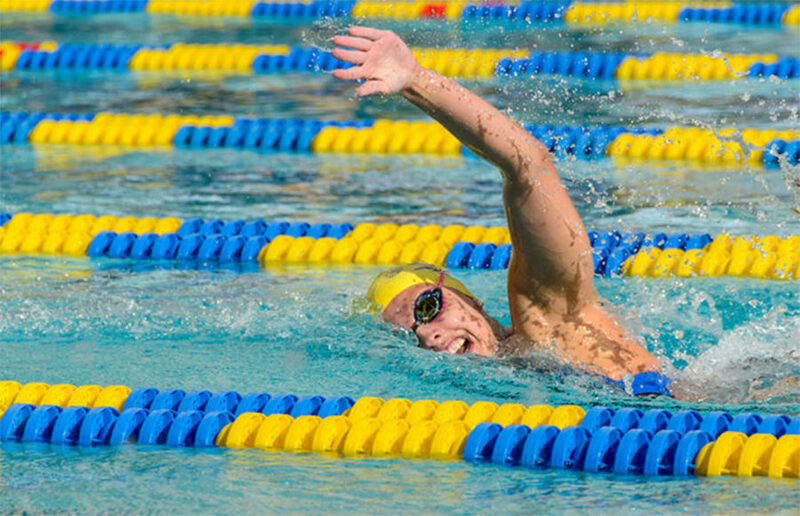 The best swimmers of the Pac-12, including five members from Cal women’s swim, didn’t just beat Team USA this past weekend — it chewed it up and spit it out. Winning 14 of 16 women’s events in a two-day showdown, the Pac-12 all-stars were a fast-moving machine that couldn’t be stopped. But still, it would be unfit to call this win a complete upset. A deeper look into the meet reveals that 11 of the Pac-12’s 14 wins came from athletes who are currently USA national team members. For Cal, juniors Kathleen Baker and Katie McLaughlin and sophomore Abbey Weitzeil rep blue and gold, and red, white and blue, simultaneously. Their veteran experience was clear and yielded multiple wins for the Pac-12 team. That’s not to say name brand never matters. If Cal played Alabama in football, who would win? Well, that’s less of a question and more of a laughing matter — but the point is most people would assume that the Tide would roll the Bears with ease. Baker was the top swimmer of the Cal group of five and she performed in her notoriously dominant fashion on both days of the meet. On the first day she took first in the 200-yard backstroke, edging out Team USA’s 15-year old Regan Smith by less than two seconds. Standing five years younger than Baker, Smith impressed nearly by giving the Olympic hero a run for her money. Baker was also the second leg of the winning squad in the 800-yard freestyle relay. She followed teammate McLaughlin in the relay; both Bears helped the Pac-12 fly past Team USA by more than three seconds. The second day brought more success for Baker as she took first in the 100-yard backstroke, and a few stand-out performances from Weitzeil. 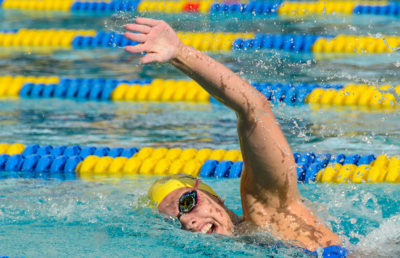 She claimed the 50-yard freestyle event and was the only swimmer to record a time under 22 seconds. Later in the day, she again showed off as a member of the winning 400-freestyle relay squad. To beat the best, you have to be the best, and the overflowing amount of talent simply created a current too strong to handle for the Bears younger competitors. Still, Cal sophomore Maddie Murphy and freshman Robin Neumann did not have the same individual success as their teammates but they also had fewer opportunities to succeed as they competed in less events. Even when Murphy and Neumann finished lower in the ranks, they managed to notch competitive marks against their star-studded opponents. But Neumann is a rookie and Murphy a second year who is looking to find her footing to be at the same caliber as her higher-ups. Regardless of placing, the swimmers were given an amazing opportunity to grow as athletes and prepare for what will come later in the season. For Cal this meet was a mock trial for the tribulations to come. 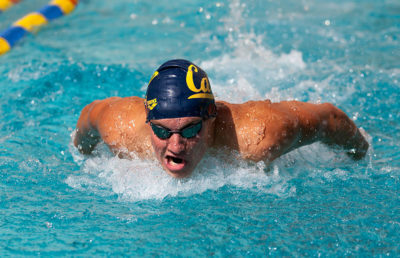 If the Bears earn a bid back to nationals, they will see many of the same swimmers who headlined this meet — but they won’t be helping Cal next time — they will be out for blood.